Making jam is one of the most satisfying ways to preserve the taste and nutritional value of summer fruits so that they can be enjoyed throughout the year. 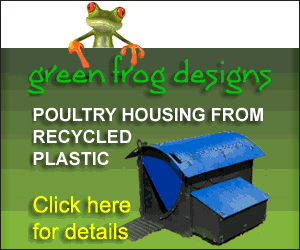 It is surprisingly easy and ensures that the glut of produce around in the summer months does not go to waste. For me, my interest started when one of my hairdressing clients gave me some redcurrants that she had grown in her garden. I really didn’t know what to do with them so asked a friend for some help and he suggested making jam – he showed me the ropes and it turned out quite delicious so, interest aroused, we set off to gather some of the blackberries that were in abundance in the park where we walk our dogs. We are very lucky that here, in the middle of Watford, we have a park with apple trees, blackberry bushes, damson plum trees, elderberry bushes, cherry trees and rosehip bushes and part of the appeal is to go foraging to see how much we can gather from our surrounding area for free. My clients, friends and family are also helping by saving their empty jam jars for us, which is brilliant as buying new jars puts up the price of the finished product. Many have also donated pears, Victoria plums, blackcurrants and apples, which they have growing in their gardens as well as crab apples which we turn into crab apple jelly and sloes which, of course, become a smooth sloe gin. Making these preserves has now become a hobby for us and we have produced a variety of tempting jams, marmalades and pickles and enjoyed many hours of fun potting up our latest creations. Most of the recipes we use are quite traditional but have been tweaked along the way to appeal to a wider audience. We found that blackberry jam or chutney is 100% better passed through a sieve before adding the sugar to remove the pips making it into a smooth jam or chutney. Doing this does lessen the yield of each batch but we found that this smooth product soon became our best seller. We now sieve most of the soft fruits which we are told makes them more palatable. 1. One has to remember when using fruit that sugar has a hardening effect so tough skinned fruits (plums, or apples) should always be simmered and softened before the sugar is added to the pan. Soft skinned fruits such as strawberries, disintegrate when cooked and should always be soaked in the sugar overnight first, this draws out the juice, toughening the berries so they don’t break up as much when you cook them. 2. Preserving or granulated sugar can be used and it is best to warm it first as this helps it to dissolve more quickly. 3. To test for a “set” we found it much easier to use the saucer method, rather than using the thermometer. When you think a setting point has been reached, remove from heat, pop a small spoonful onto a cold saucer and place in the fridge. Wait 5 minutes and then run your finger through the jam. If the skin wrinkles to the touch it is ready to pot. If not bring back to the boil and repeat every 2-4 minutes. 4. Jars need to be clean, sterile and free from cracks, chips and flaws. To achieve this, wash them in very hot soapy water and rinse thoroughly or put them through a dishwasher cycle and then place them in the oven on a very low heat for at least 5 minutes. 5. As soon as a set has been reached pour the jam into the warm jars to prevent the jars from cracking when the hot preserve is added. Fill each jar to within ½ inch from the top. Place a wax disc on the top, (wax side down) making sure that it lies flat. Immediately cover with a damp cellophane lid with an elastic band so that when it dries it becomes airtight. Label and store in a cool, dark place. 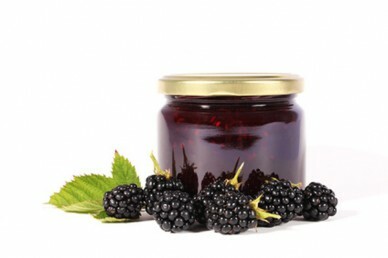 If you’d like to have a go yourself you will find a recipe for a delicious blackberry jam here. Made correctly you may be surprised at just how good the results are – I think it is true to say that home made products generally have a far better flavour than those commercially produced – try it and see for yourself. Val sells her jam to help dog rescues both in the UK and abroad. Her efforts are doing remarkably well and last year she raised £1000 for Garbo’s German Shepherd Rescue. So far this year she has raised another £900 for the Soi Dog foundation helping neglected dog and cats in Thailand.